《The Eternal Love 2》Ep4：Qu Xiaochan broke into Mo’s bathroom to investigate. Imperial concubine’s plan framed Mo Liancheng broken down. Mo LianCheng With the help of song sandalwood, she got rid of Mo LianCheng. Mo LianCheng looked at her anxiously and asked her if she had a good life. Besides, she told her that she was now different from before. When Mo LianCheng left, qu thought about his previous contact with Mo LianCheng in modern times. Mo LianCheng always liked to hold her like this, so he was sure that this person was Mo LianCheng. It must have been because of his bad attitude to her, so to revenge, think of this little sandalwood plan to change strategy. Song small tan see eight report came back from the house, go apologize to eight report, and claimed that he was mottled, there was a true love in front she did not cherish, now regret, so willing to and Mo LianCheng to start over, Mo reprimanded the small wingceltis, LianCheng chilly but then promotion palm small tan had done. The small sandalwood therefore surmises perhaps because oneself is good to make good play, so plan to continue to make good. Mo YiHuai Thinking of the death of kotaier and the desire to commit suicide, he was saved by a masked Mo LianCheng. 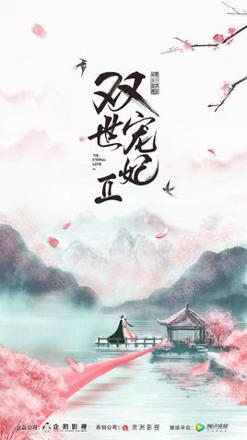 Mo LianCheng persuaded Mo YiHuai not to give up his life. Seeing the death of Mo YiHuai, Mo LianCheng had to tell him that kotaier was still alive. Then Mo YiHuai released his sword, and Mo LianCheng flew away. Mo YiHuai immediately ordered people to investigate the life and death of kotaier. Meanwhile, he also picked up his missing pocket watch on the ground. Mo LianCheng found that she had turned into a noble concubine after her return. She also suspected that she had something to do with her return. Seeing that her father had frequent bouts of headache, Mo LianCheng suspected that she had problems with the soup she had drunk to the emperor. At this point, Mo LianCheng was suddenly caught Yu Hao It was found that Mo LianCheng fled in a hurry and was seen by the emperor and his wife, who all felt very familiar. The imperial concubine worried about the eight princes evil, immediately to find someone to secretly get rid of eight princes. The imperial concubine was a person of the kingdom of dayu, who wanted to weaken the power of the eight princes, get rid of the great prince, and control the emperor with yulinsan. In order to make love to Mo LianCheng, kc ran to cover the eyes of Mo LianCheng, and expressed his love to Mo LianCheng greatly. He also praised that Mo LianCheng was handsome and invincible, and he was willing to try to communicate with Mo LianCheng.However, Mo LianCheng could not understand what she was saying. Instead, she reprimanded him for his words without any form. When he came here, he said angrily, Mo LianCheng knew how to dress and did not want to go back. When the butler heard this, he bumped into Mo LianCheng, and the air rushed in and took it away. He was punished to kneel for six hours. Luckily, kneepad was on guard, so there was no major event. In the evening, Jing Xin The heart is aching helping song small sandalwood massage, hear knock suddenly sound, open a door to see a box to put in the door, there is a pair of thicker kneepad in the box, and still have a note to warn song small sandalwood don't be casual with other man close, song small sandalwood cannot help mumble come here to see of thing all is strange work. Curved small tan in order to confirm the eight sovereign is Mo LianCheng, privately, the place where the eight sovereign bath at first eight small tan report that is otherwise purpose, not a barrage of close to him, so deliberately emperor to hand in her hand, but small tan, but it didn't even look at one eye, eyes staring at eight report in the chest, desperately want him to take off clothes to take a bath, take a look at his chest tattoo. Eight Lord see the appearance pull song small sandalwood to press her to have what purpose, the song small sandalwood pull open his clothes to be able to not discover this tattoo, flustered escape, even doubt oneself probably all the time misidentify Mo LianCheng. The emperor suddenly wanted to organize hunting, the imperial concubine wei crosswise speculated that the emperor wanted to use this hunting test eight princes loyalty, intended to take advantage of this opportunity to bring down eight princes, so deliberately prepared eight masters special arrows in advance. In the paddock, the eight emperors Mo LianCheng suddenly saw someone dressed in black, who was suspicious and then went after him. However, he saw the man in black shot at the emperor with bow and arrow. However, he deliberately deflected the arrow so that the emperor could see it was the arrow of Mo LianCheng. However, another arrow shot at the emperor again. Mo LianCheng flew to save the emperor, but his arm was wounded by the arrow. At this time, wei criss-cross rushed to deliver the arrow of Mo LianCheng to the emperor. The emperor broke the arrow on the spot and claimed that someone must have planted it and planted it. A smile appeared on the mouth of Mo LianCheng. Mo LianCheng and Mo JingXuan It was speculated that this design made the emperor suspicious of him. However, another arrow had clearly seen the conspiracy of wei, so it would let him rescue the emperor. Thus the doubt was solved. Nearby guard Yu Hao told Mo LianCheng Liu Shang The traveler had entered the city, but his whereabouts were erratic, and Mo LianCheng was silent in thought.